World of Tanks is a MMO game developed by Wargaming, and as the name implies, is a game about tanks. The game seemingly takes place during WW2, but you will find tanks that were never developed, and even see post war tanks in the later stages of the game. With tanks in tiers 1-10, and a range of different tank types and nations to choose from, there is a tank for everyone. When you first join the game, you will have access to multiple tier 1 tanks from nations such as Germany, the UK, France, Japan, USA, and the Soviet Union (And some others such as China and Czechoslovakia). Simply choose your favourite nation and roll out to your death. Why do you roll out to your death? It’s because of highly skilled players that decide to go ‘seal clubbing’, and choose their low tiered tanks to face new players. This is a large turn off, but it does get better. For tiers 1-4, the game is quite bad. Due to matchmaking allowing you to face tiers 2 higher or lower than your own, you can end up in games where you don’t even stand a chance. Combine this with the fact that you have to earn experience to upgrade your tank before it can even compete its own tier sometimes, and the game can be a pain to grind through. This isn’t to say that the lower tiers can’t be fun though. There are a few tanks in lower tiers, such as the Luchs tank, that can be fun to play. But overall, until you hit tier 5 the game can be rather miserable. Furthermore, you don’t even get the more iconic tanks until tier 5. Luckily, once you hit tier 5 (and upgrade your tank), the game is a lot more enjoyable. This is not a game you want to play for historical accuracy however, as games will have multiple nations on each team, even though a lot of them would never fight on the same side (USA + Soviet Union + Germany + Japan on one side). Moreover, at higher tiers you will be facing postwar tanks, which can be a giant pain to fight. Playing a Tiger vs a T-54 is never fun, although you can win that engagement if you know what you’re doing. Another historical accuracy problem is tanks mounting guns that they never did (The Panzer IV H is a clear example, as I’m quite sure it did not mount a 105mm howitzer like gun). Finally, the game includes tanks that had blueprints made, or prototypes made, but were never mass produced. The clearest case of this is the Japanese heavy tanks, which are also quite overpowered on top of never existing in large numbers (or even at all in some cases). It isn’t until tier 5 that things start to get interesting. This is also the tier you will be playing the most, as it is the best for making silver (the in game currency). Due to their cheap(ish) repair costs, tier 5’s are able to be played often, as you can make silver even if you die immediately without doing much. I would recommend choosing your favourite tier 5 and placing some equipment on it, such as binoculars or a camo net, as it can help out. You can go past tier 5, but unless you’re willing to deal with a toxic community, I wouldn’t recommend it. Fast moving, fast firing, and loads of fun! This also gets me to a problem I have with this game, which is the absolutely toxic community. If you thought SPUF could be bad, you haven’t played this game. If you ever reach tier 8 and do badly, you can expect some stuck up self-righteous person to message you comments such as ‘uninstall’, ‘kill yourself’, etc. While I understand the need to not get offending over every little thing, I have to draw the line somewhere, and I draw it at this community. I would highly recommend disabling the chat and the ability to receive private messages, as it can be quite disgusting to see how people can treat others. While this generally isn’t as much of a problem at lower tiers, they’re not immune to it. One nice thing about this game is all the different tank types you can choose from. There are light tanks, medium tanks, heavy tanks, tank destroyers, and artillery. Light tanks are for moving fast, scouting, and generally are good for harassing the enemy. Heavy tanks are slow but (usually) heavily armoured tanks with powerful guns, used for smashing through enemy lines. Just don’t play any heavy tanks before tier 5, as they’re a joke before that. Medium tanks are a happy mix between the two, with a reasonable amount of speed, armour, and gun power. Tank destroyers are usually turretless (although some, especially the American ones, have turrets) tanks with powerful guns. Tank destroyers have excellent camouflage values in the game, and combined with a camo net, can remain unseen. Lastly, artillery indirectly fires at the enemy, punishing people who decide to camp a bad position. Sadly, it seems the community hates artillery, so be prepared for insults thrown your way should you choose to do this. World of Tanks contains many fun elements, with a large enough variety of tanks and maps to keep the game interesting. The nice thing is that it’s not too difficult to reach tier 5, and you don’t need to go past it to have fun. On the contrary, I find tier 5 to be the most enjoyable. The game supports multiple playstyles, with different tanks in each group having slightly different characteristics. I would personally recommend medium tanks and tank destroyers, as they are different enough to remain interesting, while still being useful. Although the game is a MMO, the grinding doesn’t take too long before you get to the good content. Moreover, although paying for premium gives you 50% more experience and silver, you can do just fine without it if you just want to play tier 5’s. I personally recommend the StuG III G, the Panzer IV H, and the T-34 for the best tier 5’s. The StuG is a fast firing German tank destroyer, with a very fast traverse speed (Turning speed). Although, I do admit that my liking for the StuG is probably based on its ability to carry me through games in Men of War Assault Squad. Next, the Panzer IV H is a German medium tank. Although historically inaccurate, I recommend the 105mm gun with high explosive rounds for the shear stupid amounts of damage each shot can inflict. If you like one-shotting tanks (mainly lower tiers and others with open turrets), this is the tank for you. 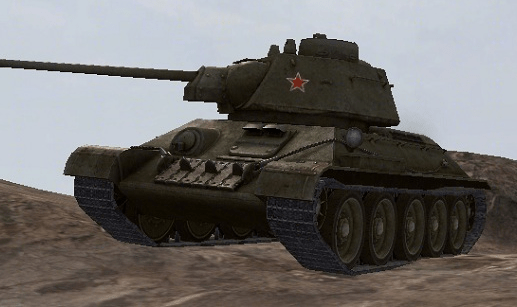 Lastly, the T-34 is a Soviet medium tank that is very fast and contains one of the fastest firing guns in the game. It’s 57mm gun can have around a 2.2 second reload with a fully trained crew, and the gun can penetrate almost any tank it faces. 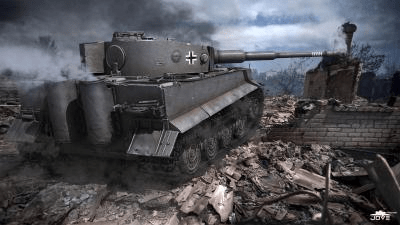 If you want to play higher tiers, I recommend the Tiger 1 and Tiger 2, although that’s mainly my German bias and history bias speaking. Even with my bias however, the Tiger 1 is very powerful if you know how to use it, just don’t expect your armour to do anything. For all the fun things this game contains however, it has a lot of negatives. I generally dislike the Free to Play model, and this game generally confirms my hatred for it. You can pay for premium membership to give you more experience and more silver (50% more), making paying players have a much easier time grinding. This is very noticeable at later tiers, where it’s almost impossible to break even without silver (and this is forgetting the time it takes to get to the high tiers). 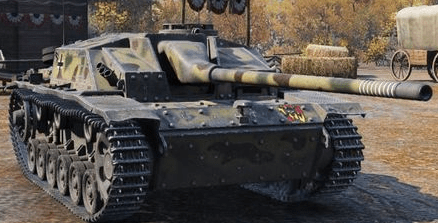 Moreover, the premium currency can give significant advantages, with the ability to buy premium shells with more penetration than the standard armour piercing shells. Although these shells can be bought with silver, it is really expensive to do so. However, my biggest problem with the game is not the game itself, but the community. While I generally try to avoid insulting others, there is no other way to describe this community other than cancerous. The constant harassment and insults, combined with the general toxic behaviour in game (smashing your tank away to take your spot behind a rock, just straight up team killing you) is enough for me. While you can generally avoid this by not talking and being good, some bad luck can lead to immediate harassment. I’ve personally witnessed the toxicity, with players private messaging me (and others) to insult me for a accidentally hitting them, or even just not being able to kill the enemy. While I can understand being frustrated at incompetence, sometimes people just have bad days. Moreover, that is never a reason to go harass someone, sometimes for weeks. Overall, this isn’t a bad game, and I do recommend at least trying it. However with the toxic community, I would not recommend going past tier 5. Furthermore, it probably isn’t worth sticking around if you don’t really enjoy the game. If you do play it, do yourself a favour and don’t rush to tier 10. While it may seem nice to get the best tanks, they really aren’t any more enjoyable than lower tier tanks. I see this as more of a game that’s fun to play every now and then, sometimes even for a few days in a row, but not as a game to consistently play every day. Last Day to get Fractured Space free on Steam!